Posted on Friday, October 31st, 2014 at 6:27 am. 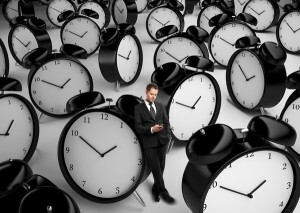 Time management is always easier said than done, but it is not an impossible task. All you need to do is learn how to organise your life so you can maximise your time. Let’s be honest with ourselves and admit that we procrastinate from time to time. It’s quite normal actually. As humans, we are always drawn to new and interesting things that can stimulate our pleasure senses whereas a routine becomes boring and can have the opposite effect of pleasure. Some people become chronic procrastinators and cannot stop procrastinating, even when they know what is at stake. If you want to learn more about how you can manage your time efficiently, consider joining the PD Training Time Management Course in Singapore. Start organising your work by determining your top priorities. Considering the 80/20 rule, you’ll be surprised that some tasks may not need to be completed at all. Learn to delegate work. Start by asking yourself if you are responsible for doing the task. You also need to learn to start trusting others and not hog all the work. If you take all the work, you might not finish everything and you’ll be at your wits end. Try to do the work as early as possible. In fact, as soon as you receive the task, go about doing it. The longer you hold out, the more chances there will be that you won’t be able to do it. Next thing you know, the deadline has been reached. Ask questions regarding a task if you need to. Swallow your pride because it’s not going to help you finish the job. Besides, asking someone who knows will give you valuable insights. Start chopping up your task into milestones. This will help you get a sense of accomplishment every time you reach a milestone. This will also inspire you to continue and, ultimately, finish the job. Follow a 15-minute rule (you can adjust this to your liking) where every step should not take more than 15 minutes. Have clear deadlines of your task. Write it down in a calendar or log and let other people know about it so they can hold you accountable for the task. Don’t forget to set an extra time allowance, just in case your plan doesn’t work out the way you expect it to. Often times, your plan will not go as planned. Distractions can get in your way. Remove any distractions so that you can finish the task at hand. Removing distractions will also promote a more positive environment in the workplace. Lastly, never forget to reward yourself when you accomplish a task. This practice will enable you to be motivated in future tasks. Time management is not rocket science but we all need to a good foundation in order for us to be able to manage our time. Do consider PD Training in Singapore if you’ve decided to change your life for the better. PD Training delivers thousands of professional development courses each year in Singapore, so you can be assured your training will be delivered by a qualified and experienced trainer. All public time management training courses include am/pm tea, lunch, printed courseware and a certificate of completion. Customised courses are available upon request so please contact pdtraining at enquiries@pdtraining.com.sg to learn more.